8:00 p.m. - 7:00 a.m.
Vote for Peorias Best Burger NOW! Almost 30 people are killed daily in the U.S. by a drunk driver, according to the National Highway Safety Administration & WICS-TV. On days like Big Game Sunday, the risk is that much greater. “It seems like naturally alcohol is a big part of get-togethers like this, especially as it relates to a sports holiday,” said Deputy Andrew Smith with the Sangamon County Sheriff’s Office. This had Sangamon County deputies like Andrew Smith on the road with his eyes peeled, looking for people driving under the influence. “We’re out doing what we can with the man power we do have to try to combat this,” said Smith. A person’s driving can become impaired with a blood alcohol level of .05. Once it reaches .06, a person is twice as likely to get in a crash. “It’s what it does to your cognition, your motor functions and as we know driving requires such fine skill and detail,” said Smith. Deputy Smith spent Sunday looking for drivers doing things like swerving, driving over the line, and forgetting to turn on their turn signal. Once officers pull the driver over, there’s a whole other set of indicators. 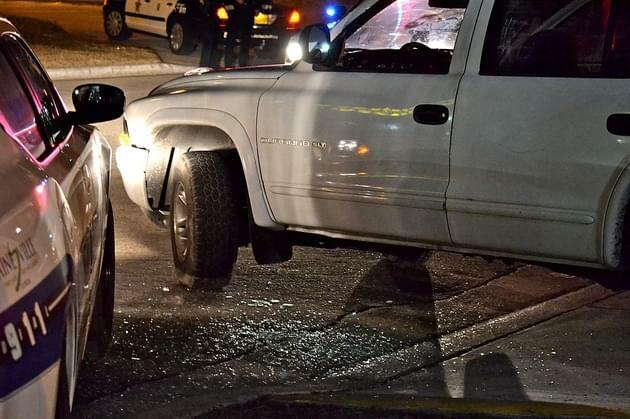 “The slurred speech, the glassy eyes, and we have of course a standard field sobriety test that we can run them through and look for different things,” said Smith. If convicted of a DUI a driver will lose their license, have to pay a hefty fine and could even get prison time.